Federal law provides significant penalties for felons in possession of weapons, unless the felon has his rights restored by the convicting state. Anyone who has been convicted of a felony is banned by federal law from ever possessing “any firearm or ammunition.” Specifically a person “convicted in any court of a crime punishable by imprisonment for a term exceeding one year” cannot possess any firearm in any location. 18 U.S.C. 922(g) is the federal law that prohibits anyone ever convicted of any felony to ever possess any firearm either inside or outside of his home. The federal punishment for firearm possession by a felon is up to 10 years in prison. 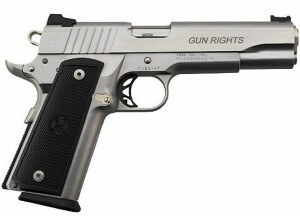 There are many other federal gun ownership restrictions, even for the best pellet gun you will need some paperwork. For example, a conviction for a misdemeanor Bureau of Alcohol Tobacco, Firearms and Explosives or any state misdemeanor conviction of domestic violence. These prohibitions are found in the Title 18 Section 922 of the United States Code. The law prohibiting gun ownership by a convicted felon has exceptions. There is specific statutory language providing that the federal prohibition on firearms possession by a felon does not apply to individuals who have had their civil rights restored by the state where the felony conviction occurred. State law determines the restoration of civil rights for a state conviction, not federal law. The civil rights restoration must incorporate the right to serve on a jury, the right to seek and hold public office, and the right to vote. Absent restoration of these rights federal recognition of the state restoration of rights exception will not apply. Federal law contains another passage to be considered. If the restoring state includes the three rights above, then one must determine if state law in any way restricts the convicted felon’s rights to possess a weapon. If there is any state restriction on the felon’s right to have a weapon then the possession of any firearms by the convicted felon violates federal law. This is true even if all other civil rights are restored. Federal restrictions on the possession of firearms by convicted felons are entirely dependent upon the restrictions imposed by the various states. If there is a state restriction on an individual’s gun possession as the result of a criminal conviction, then possession is a violation of federal law. Every state has its own process for felons to petition the government to restore their civil rights. Rights can be affected by the expunging or sealing of records which are judicial actions or pardons from the governor, which are executive actions. The level of restoration may be affected by the crime itself, whether it is a violent crime a drug crime or a crime of dishonesty. State laws vary greatly. As to Federal felony convictions, in Beecham v. United States, 511 U.S. 368 (1994), the Supreme Court ruled that only Federal law can nullify the effect of the conviction. State restoration of rights suspended as a result of a federal conviction has no effect on the federal prohibition against firearm possession.